Want to make delicious-looking dishes like this without having to trek to the grocery store, buy the groceries, put them away, plan your meal, cook, clean up and put away the leftovers? Well, now you can. A fairly new home delivery service, Plated, is now on the scene and takes care of most of the hard work. No pre-planning, no waste and in 30 minutes or so, you have a meal fit for a king. The founders of Plated were on the NBC show, Shark Tank last week, and the internet is putting Plated on the map. Here’s how it works: Pay per plate ($15) or you can choose to sign up for a membership and each plate price is reduced ($12). American Express isn't the only way to receive benefits. Plated Membership has its benefits, too. Auto-shipments, preference guides, free shipping and more! Each week, 7 chef-designed recipes are featured. The dish options include 4 healthy meat and fish options and 3 vegan/vegetarian dishes. To get Plated delivered, simply select your delivery date (delivery days vary according to where your ZIP), cook and enjoy your recipes. All of the ingredients you need are pre-packaged, pre-portioned (to reduce waste) labeled and arrive fresh to your door in biodegradable/recyclable packaging. Included are: ice packs (to keep it fresh if you're not home when it arrives), step-by-step recipe cards with pictures and the potential to feel like a chef any night of the week! No worries if you can't start cooking the day/night your Plated package arrives. 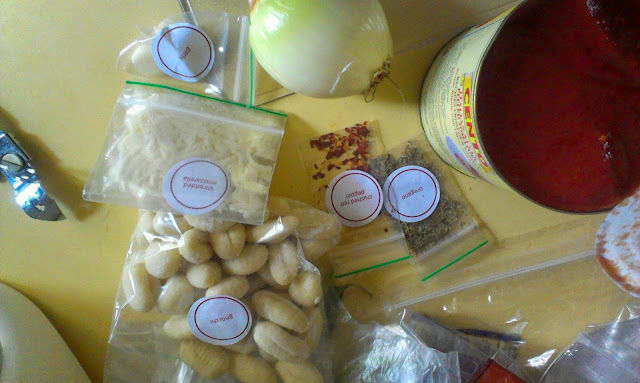 Refrigerate your ingredients and they'll remain fresh for the next 4-5 days! This is fantastic service for everyone. If you want to learn how to cook, are busy, in a cooking rut, having a date night, a party, or want to add some variety to your kitchen, this is for you. Tuesday nights are busy for me because it's my Monday and if I don't eat out for dinner, I come home too tired and too late to want to crank up the stove. I order Plated to come on Saturdays, refrigerate it and throw it together on Tuesday night. No planning. Just a little chopping, throwing it together and eating! Since I'm a chef and I think I know everything, I tweak the recipes sometimes. 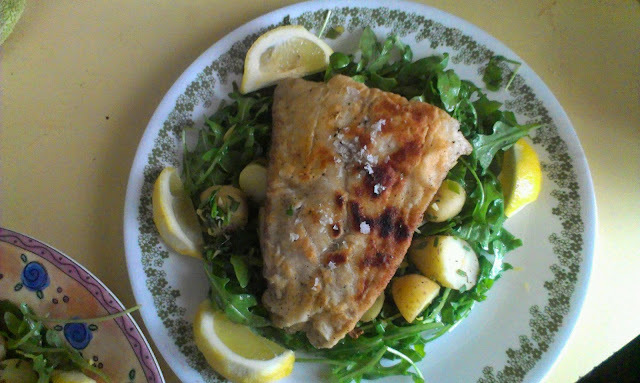 For instance, I dredged my pollock in Wondra flour because I wanted it to be brown and crispy. 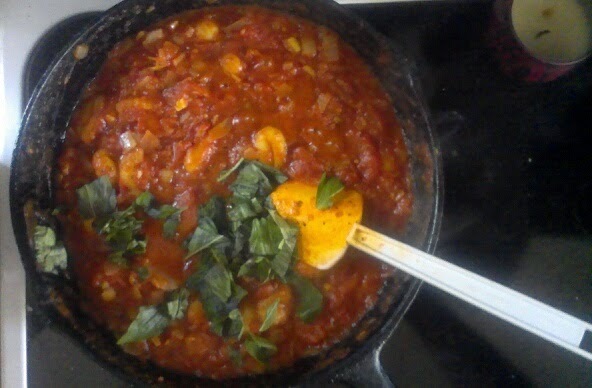 I added a little sugar to my gnocci in tomato sauce because I wanted a little more sweetness in the sauce. Nothing crazy, the recipes are wonderful as is--I just wanted to"enhance it" For the less adventurous, there are even You Tube videos to guide you asking if you're unsure or unfamiliar with things on the recipe card. More than just convenient, it's fun! If you're ready to take the plunge, click on this link, get a discount and see what all the fun is about! 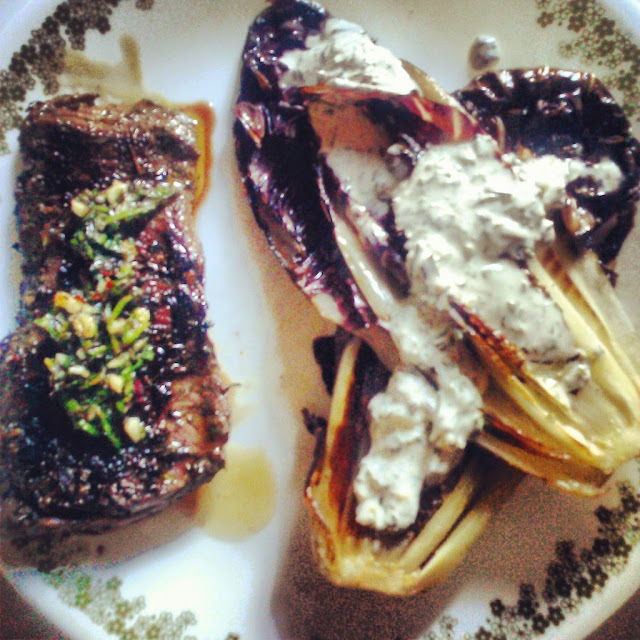 Check out Instagram and search for #platedpics to see what others have made. Preheat oven to 450°F. Bring small pot of water to boil, on high heat. Rinse mushrooms and quarter. Rinse scallions and thinly.slice light & dark green parts, discarding the whites. Rinse lettuce and separate leaves. Mince garlic. Set fava beans out to thaw. Drain tofu and cut into 1/2 inch cubes. In a small bowl, whisk soy sauce, vinegar, red pepper flakes, if using, and grapeseed oil. On a baking sheet lined with foil, toss mushrooms and tofu with half the soy sauce mixture, reserving the rest. Arrange in a single layer and roast in the 450° oven for 5 minutes, then add garlic evenly across the mixture and roast for 5 more minutes. Then, switch to broiler and broil until tofu is browned, about 3 minutes. Taste and add salt, if needed. Place 1 cup for in a large bowl and slowly add 3/4 cup boiling water from the small pot of water and stir continuously, until dough forms. Sprinkle remaining for over a clean, dry work surface and knead dough until elastic and smooth, about 1 minute. Divide dough into 4 equal pieces and roll each piece into a ball. Using a rolling pin or large bottle, roll each ball into 1/4 inch thick circles, 5 inches in diameter. Spread 1/2 of the sesame oil over each, sprinkle with salt and divide scallions and fava beans evenly over each, as well. One at a time, roll pancakes into a log. Curl in one end and wrap around the other end to make a tight coil. Place on flat side and use rolling pin to flatten pancake into 5 inch diameter. Repeat with each pancake. Heat remaining sesame oil in a large non-stick pan over medium heat. When oil is shimmering, add pancakes and cook until golden brown, 2-3 minutes per side. 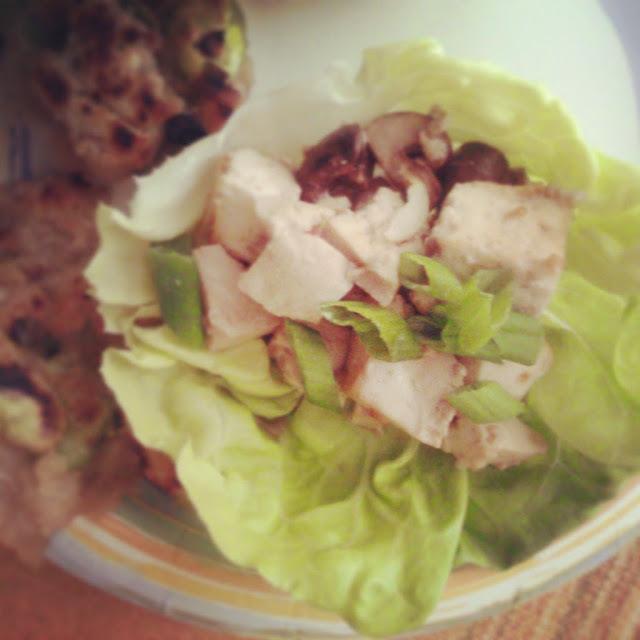 Divide tofu mixture evenly among lettuce leaves. Serve with hot pancakes and remaining soy mixture for dipping (or drizzling).